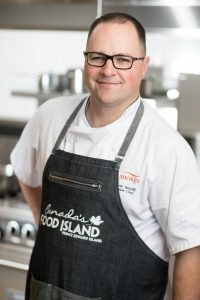 As with many future chefs, Andrew got his start in the culinary arts as a dishwasher before moving up to working on a line He enjoyed the fast pace and instant gratification of the work, so he enrolled in the Culinary Institute of Canada to broaden his knowledge and develop his skills. Andrew completed his internship at the Delta Lodge at Kananaskis, where he fell in the love with the rocky mountains and working with game animals in the kitchen. Returning to the Delta after graduation, it wasn’t long before PEI called and he returned home to join the Delta Prince Edward. He joined Red Shores Charlottetown as Executive Chef in 2012. Red Shores Racetrack & Casino is presenting the Friday Grand Tasting. 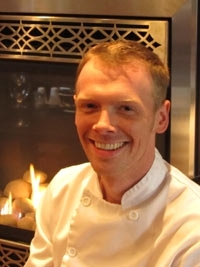 Mitchell graduated from the culinary program at Holland College in Charlottetown, Prince Edward Island in 2005. After graduating he was employed at the Merchantman Pub. He was then hired on as the sous chef at Dalvay-by-the-Sea a National Historic Site located on the north shore of Prince Edward Island. Mitchell then traveled on to Ottawa where he was the sous-chef at Whalesbone Oyster House under the chef Steve Wall then chef Charlotte Langley. Mitchell returned home and again was the chef at Dalvay-by-the-sea for 2 more years where he was appointed the Executive Chef. 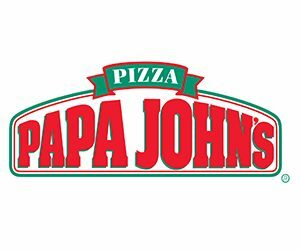 After a brief stint at Sims Steakhouse he was hired as the Executive Chef for the Claddagh Oyster House and the Olde Dublin Pub. Claddagh Oyster House is presenting the Saturday Grand Tasting. *Samples are provided for your enjoyment while supplies last.